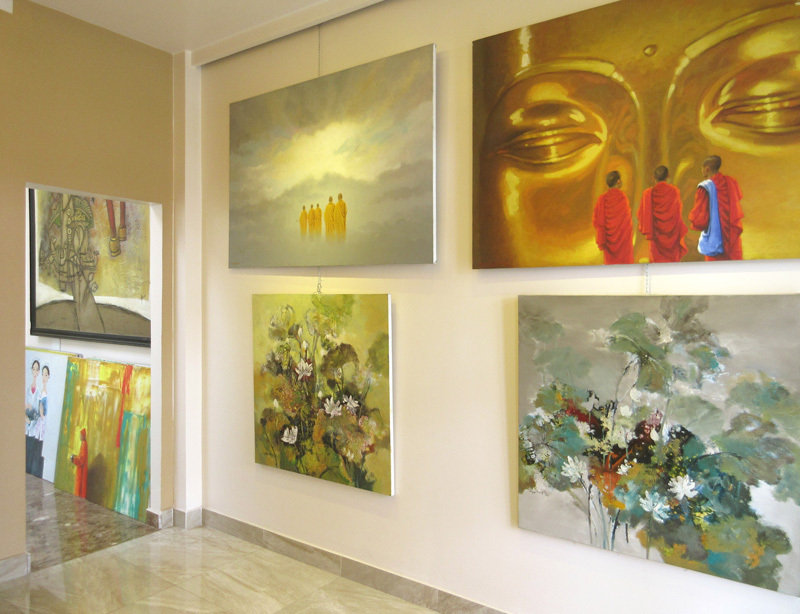 Eye Gallery Online was founded in 2006 as Contemporary Fine Art Gallery . 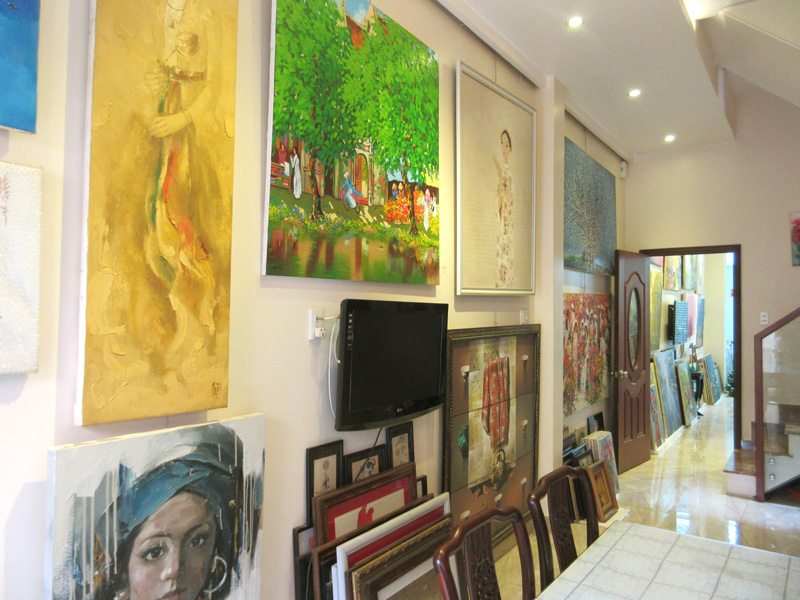 With 12 years in local art trader , we are proud to be one of the experienced galleries ... not only selling Vietnam original paintings by master artists such as To Ngoc Van , Nguyen Sang , Nguyen Tu Nghiem , Bui Xuan Phai , Nguyen Tien Chung , Pham Van Don ... but also introduce a hundreds of beautiful paintings by leading artists , upcoming artists and young talented artists : Do Xuan Doan , Dang Xuan Hoa , Le Cong Thanh , Nguyen Hoang Hoanh , Ha Tri Hieu , Van Tho , Truong Dinh Hao , Pham Hoang Minh , Duong Ngoc Son , Phuong Quoc Tri , Minh Long , Vu Dung , Dang Can , Le Ngoc Tuong , Phan Linh Bao Hanh , Tan Thieu , Dang An ... to art lovers around the world . In the end of 2014 , we have moved to a new location which is better . 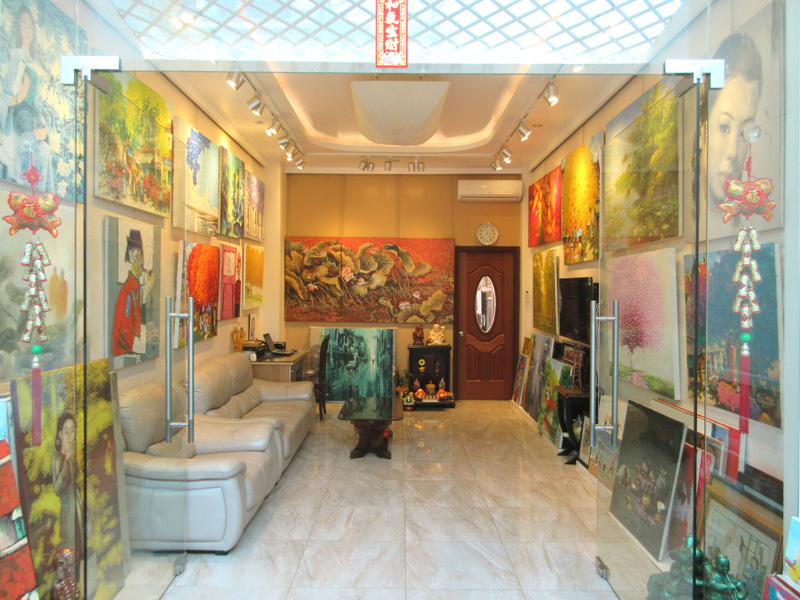 It takes only 10 - 15 minutes from Tan Son Nhat airport to our gallery by taxi and become a regular rendez-vous for proffesional collectors . We delightedly cooperate with art galleries worldwide , art dealers ... to promote Vietnamese paintings to overseas art market . Eye Gallery is looking forward receiving concurrence and supporting in order to help us continue to initiate the art fire , and to fulfill the collections of our beloved customers.